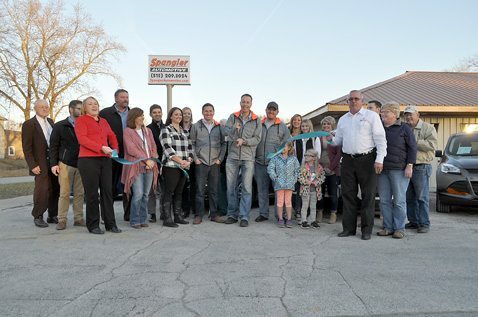 A ribbon cutting and open house was held Friday afternoon at Spangler Automotive in Webster City. Chamber and community members came out to support the local business and take in the newest used car dealership in Webster City. There are three Spangler Automotive locations, Webster City, Glidden and Newton. The Webster City location opened for business in June. Above, Jeff MacRunnel, sales manager at Spangler Automotive, officially cuts the ribbon.